The largest city in Missouri is located on the state's western border, at the junction of the Missouri and Kansas rivers. It is the only major city located within 250 miles of both the geographic and population centers of the US. Several major companies have their headquarters in Kansas City, including H&R Block, Russell Stover Candies, and Hallmark Cards. Today, Kansas City has a population of around 460,000 and a metropolitan area containing 2.1 million, with a strong economy and one of the most affordable housing markets in the country. 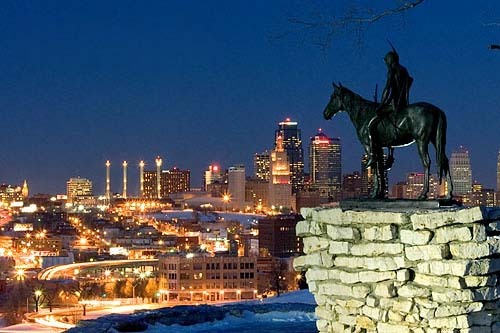 The nucleus of Kansas City's nightlife scene is the Westport neighborhood south of downtown. Westport is packed with restaurants and bars that are open as late as 3AM. Country Club Plaza is another popular area for dining and shopping. Known as the birthplace of Jazz, Kansas City has dozens of nightclubs downtown that feature all versions. If you're interested in Kansas City, please email your resum� with an introductory letter to to Dayna Lynn at dlynn@fsgltd.com or fill out the form below.